#1 Select a paint color that compliments your home’s exterior and shouts, “I’ve been updated!” Have fun with colors on the floorboards, columns, shutters, front door, and trim. Helpful tip: a blue ceiling keeps mosquitos away. 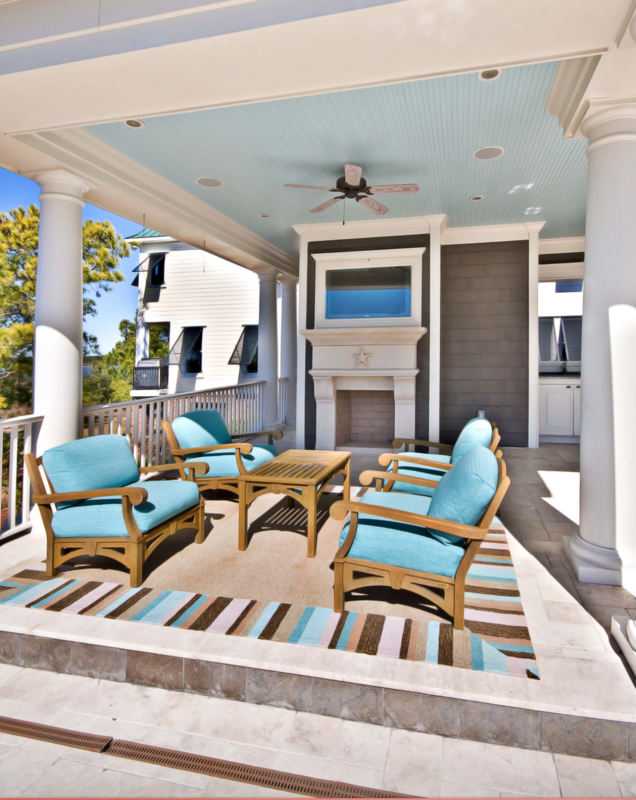 #2 Refinish or replace your old porch furniture and think about scale and function. Choose furniture to suit your activities; reading, relaxing or entertaining guests. #3 Add a splash of color and your personal style with decorative pots, flowering plants, wind chimes and an outdoor rug.